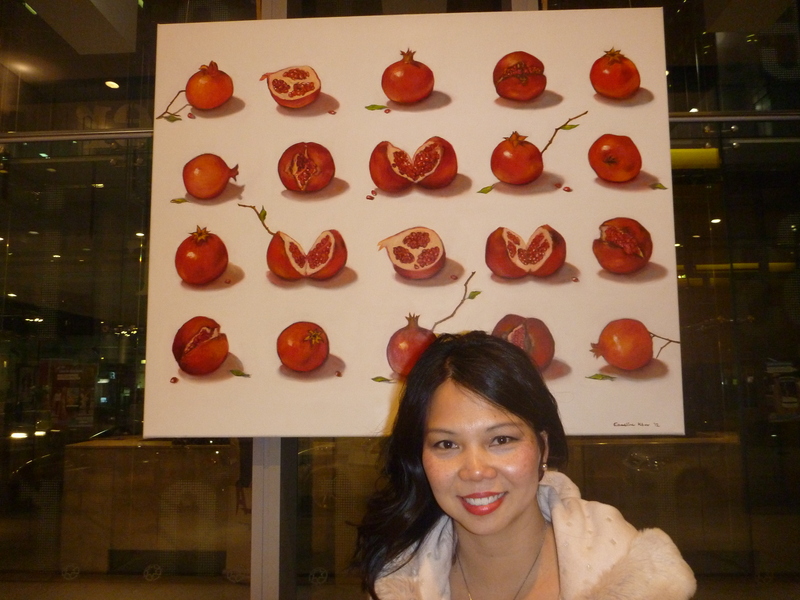 emmeline khor artist | Images of my paintings and upcoming exhibitions. Images of my paintings and upcoming exhibitions. I have been working on several new paintings for two upcoming exhibitions. 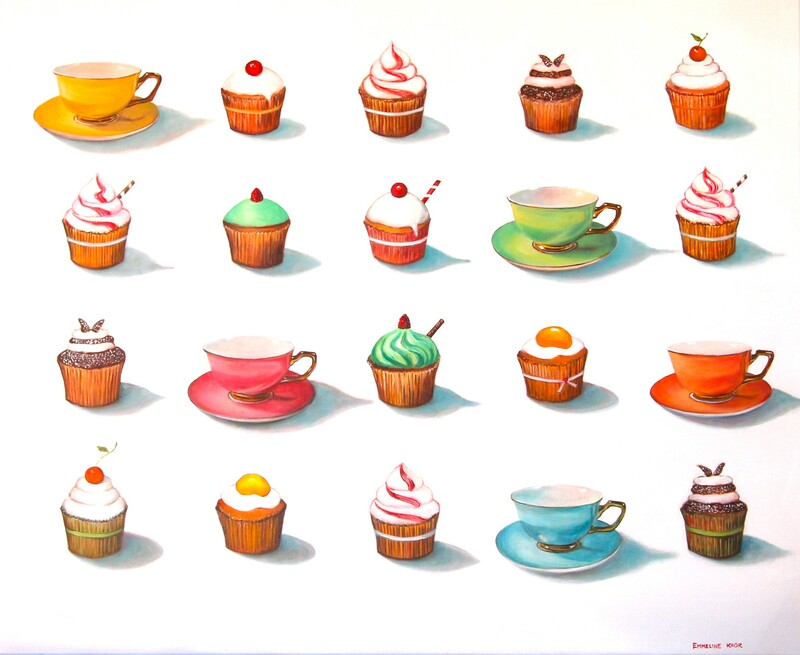 “Art Images Gallery “on The Parade ,Norwood will be exhibiting four large works based on the theme “Palette to Plate” as part of a SALA group show. Opening night is Fri 9th Aug at 6pm. I am most excited to share a preview of my work with you. My works will also be exhibited at a second show coincidentally on the same night August 9th from 7pm Friday night and over the weekend at Saint Ignatius Artshow at Saint Ignatius Junior School, Queen St Norwood. 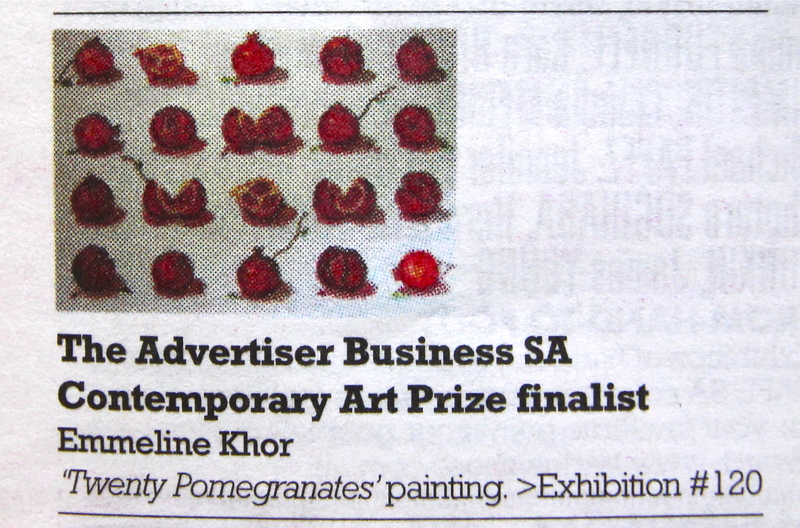 have been selected as top ten finalist for SALA Art Prize , AdvertiserBusiness SA Contemporary Art Award. I am honoured and thrilled to be chosen as a finalist amongst some brilliant visual artists. I attended the prestigious SALA awards ceremony last night at the Keith Murdoch House, Advertiser Building and was impressed and blown away by the calibre and atmosphere of the SALA Festival opening night. The dedicated SALA team is headed by no other than the passionate and wonderfully approachable Penny McAuley who rang me with news of the 10 chosen finalists for the coveted prize. Thank you to my ever supportive husband Gilbertt and wonderful father Colin for being there with me last night, and my generous mother for looking after my two beautiful children!!! 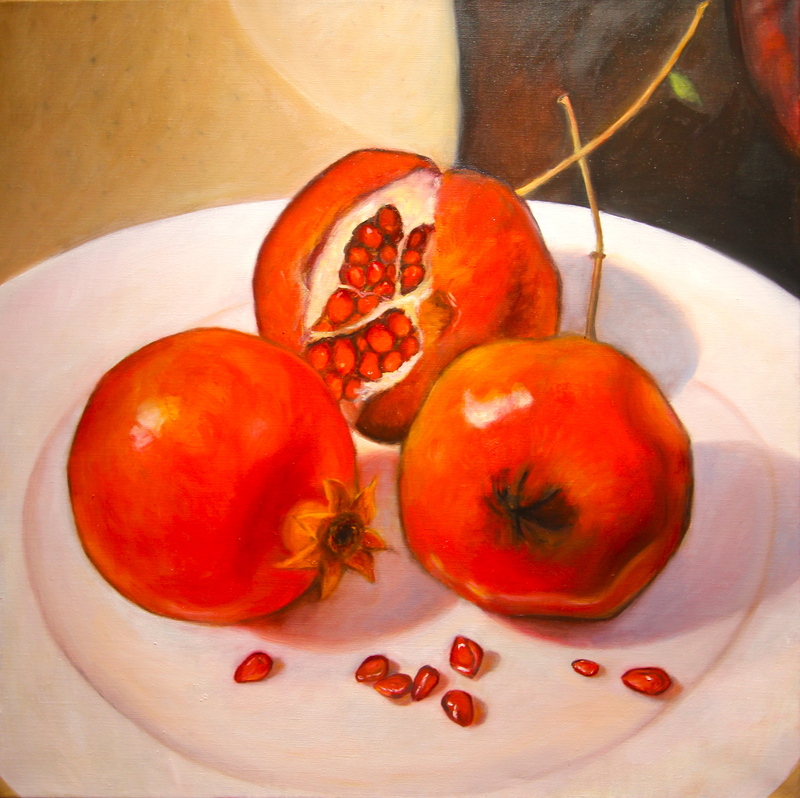 The works are for sale and are exhibited at Keith Murdoch House, Advertiser Building, 31 Waymouth St , Adelaide till 26th Aug.
and my paintings feature my current obsession, fruit in the form of pomegranates, figs, persimmons, pears and quinces. I am an Adelaide artist who has studied at the Adelaide Central School of Art . I have a strong interest in portrait and still life painting. I love working with colour and light to create rich and luminous paintings. 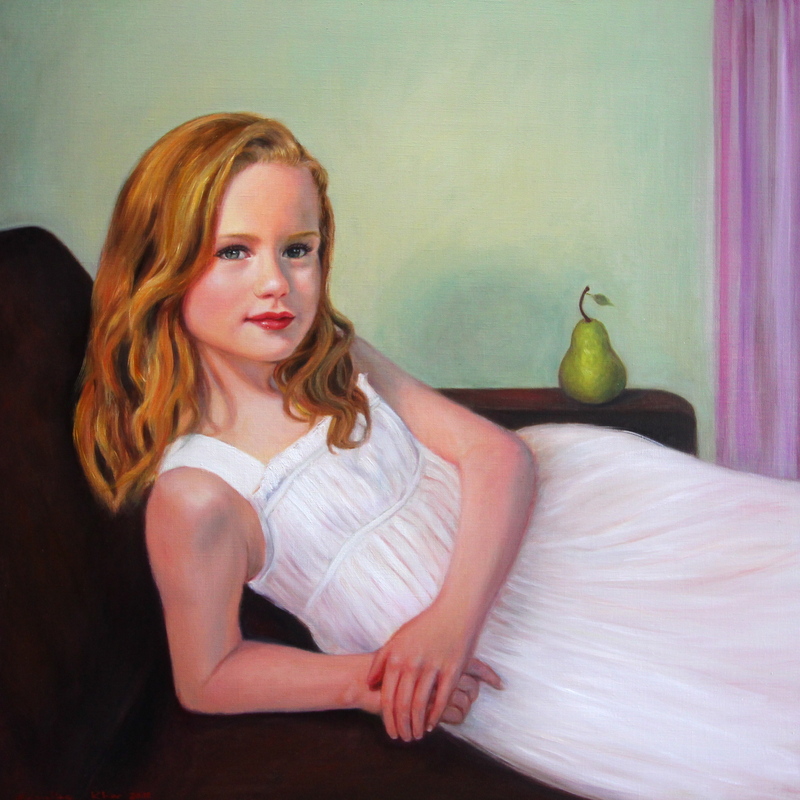 Winner of the Norwood Foodland” People’s Choice Award” for Grace at the Saint Ignatius Art Show 2011. Winning work for the Norwood Foodland “PEOPLE’S CHOICE AWARD ” at Saint Ignatius Art Show 2011. Two of my works were chosen as SALA Top Ten finalists for ” Advertiser Business SA Contemporary Art Award” in 2012. I have been exhibiting since 2006 in selected group shows. All Images are copyright Emmeline Khor 2013. Do not reproduce without permission.